Over the past year, Augmented Reality has become increasingly popular within the travel industry. One of the main reasons for this is a massive development of AR on Facebook, Instagram & Snapchat. It has never been easier for brands to provide their fans with this kind of experience. Hotels, travel agencies, even government organizations responsible for tourism development are now able to engage their fans in completely new way. One of the most vital features that it presents to all brands connected to travel and lifestyle businesses is segmentation. 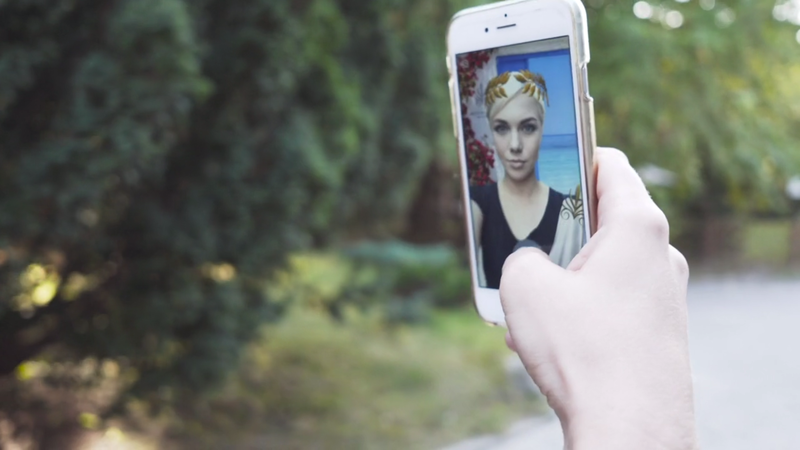 The solution is ready to be implemented on all major Social Media platforms which offer the possibility of creating custom AR Camera Effects i.e Facebook, Instagram & Snapchat. Segmentation Textures are masks that are updated in real time based on what is seen in the device’s camera. Segmentation textures can be applied to a camera’s Mask Texture input to show or hide certain areas of the scene. For example, the Portrait Background Segmentation texture creates a masked image of the portrait of the user. 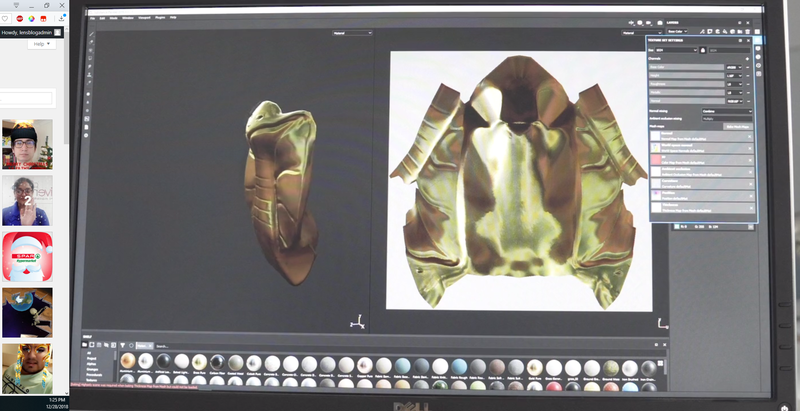 This mask texture can then be used as an input to a camera to only show elements behind the user. In other words: it’s like a green screen without the green! That being said brands are now able to teleport users to any place in the world and the only thing required to so is their phone. Letting audience to see themselves in the travel destinations presented in your offer is a great sales tool for business and entertainment for fans at the same time. Another important feature are markers. The technology allows to create effects that’re contextually tied to images, logos, signs and pictures in real world. When segmentation can encourage your fans to select your offer, markers enhance their experience once they arrive. Nationale-Nederlanden is an insurance company originating from the Netherlands. 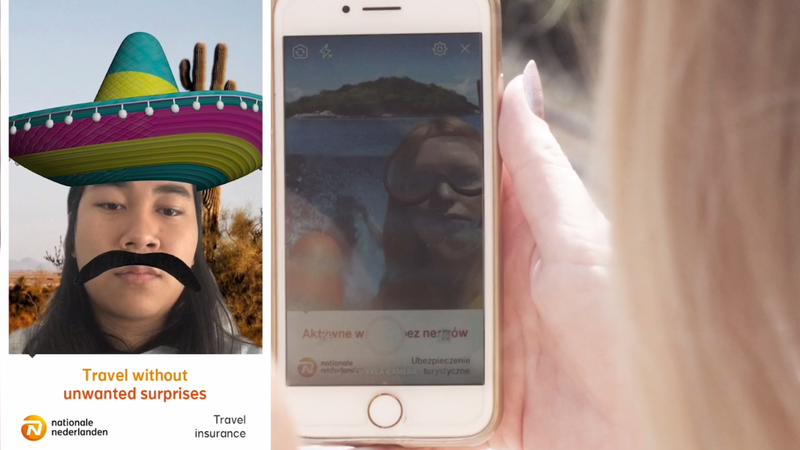 Their Polish branch decided to spread the word about their travel insurance and reach a new, younger target group, by using fresh and interactive content – Chatbot with Facebook Camera Effect. 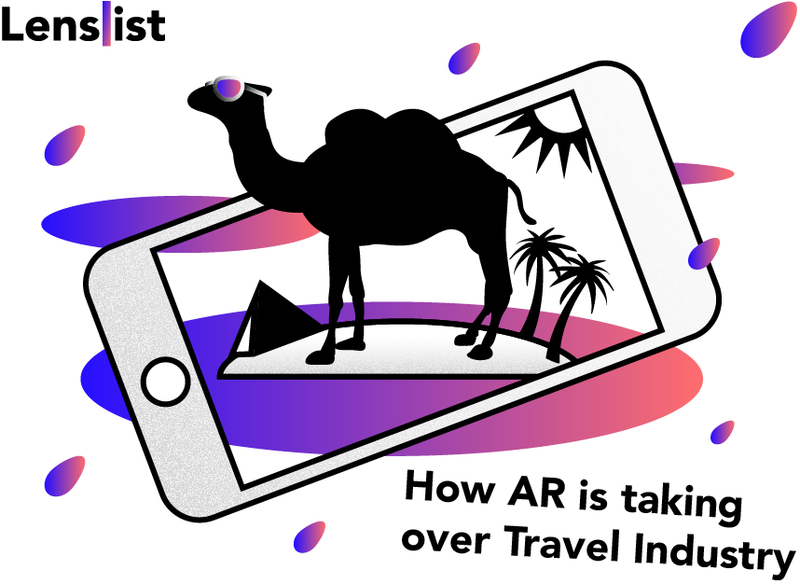 The AR experience was a 5 in 1 effect giving the opportunity to see oneself on a trip to one of Europe’s capitals, into the mountains, at a tropical beach etc. Every variation provided different motto, face effects, and unique background. Welcome to the world of ancient Greece! 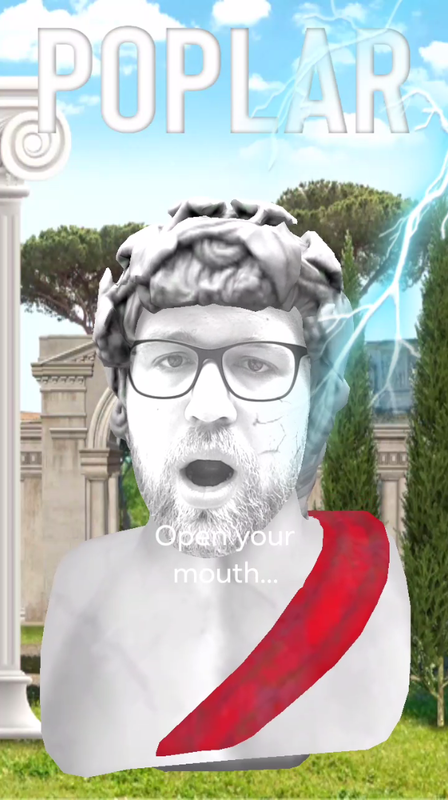 Become one of the mythological heroes and open your mouth to show the mortals your beauty and powers! Egypt wanted to stand out from the crowd with its very own AR Camera Effect for both Facebook and Snapchat. Set goals were easy to define, yet tricky to attain with only one activation: to stand out from the crowd, be proud from Egypt’s national team, fan support and tourism promotion. 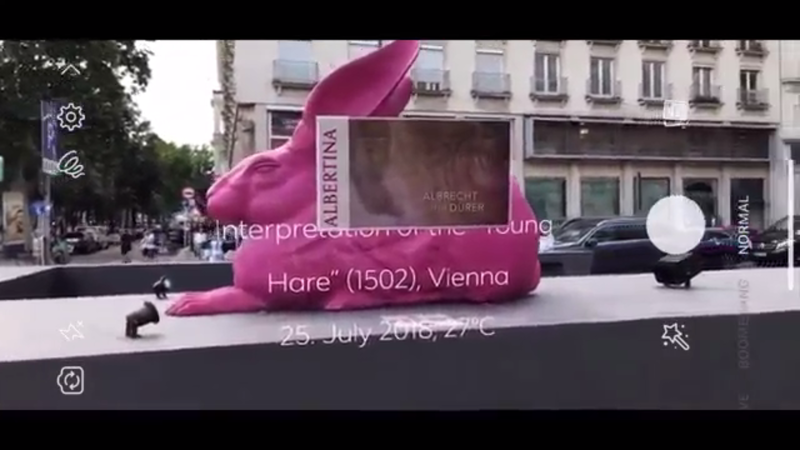 The main feature of this AR effect was letting users to put Nemes on their heads. It is a Faraon’s special headgear and one of the most significant symbols associated with Egypt. It’s like you are really there! 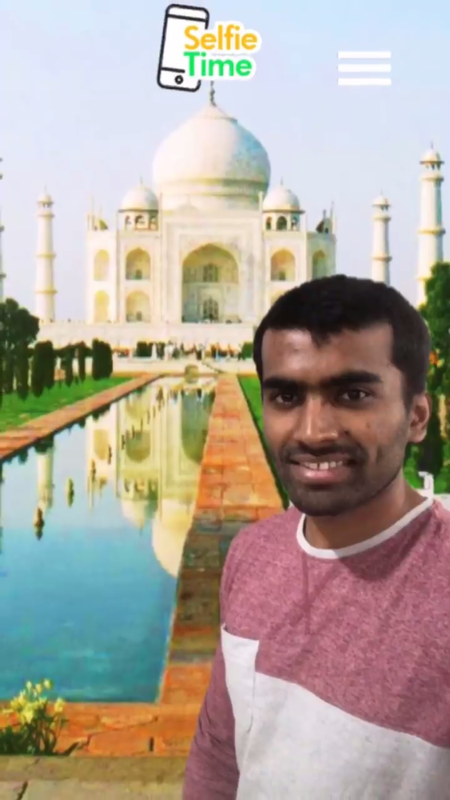 This camera effect lets you take selfies at 8 famous landmarks in India. Mountain View is among Egypt’s leading private property development companies. The company is known for their innovation and creativity. 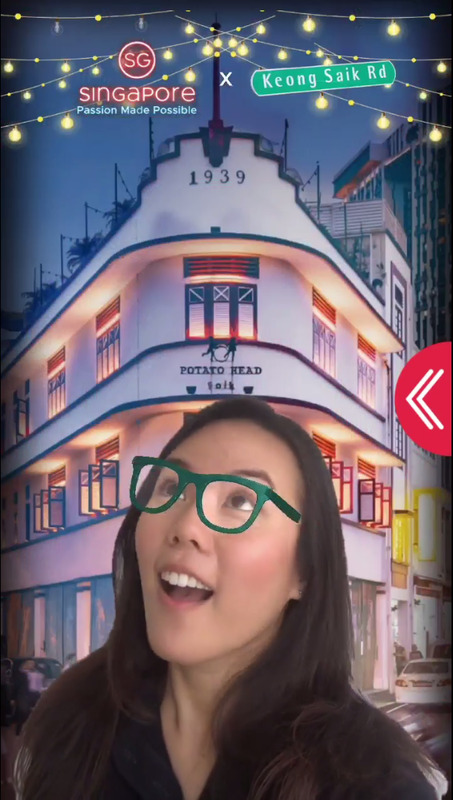 To boost the brand’s awareness and visibility, the company decided to use Facebook Camera Effect showing off their next great idea. Lens That prepared an AR effect with a special background showing one of the very special sights the Mountain View’s properties are known from. And just to make things more official and glamorous, you could wear a Greek crown! Visit Singapore is an organization responsible for the promotion of tourism in Singapore. They decided to think out of the box and engage their audience in a new entertaining way – Facebook Camera Effect. It allowed users to teleport to 5 different party venues.